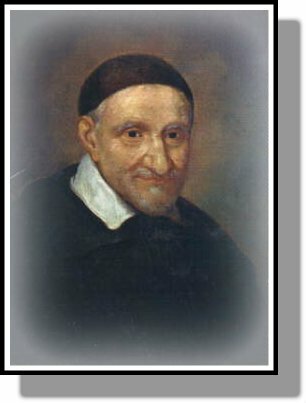 The Saint Vincent de Paul Society is the world’s largest lay Catholic organization with 800,000 members in 149 countries. It was started in 1833 by Blessed Frederic Ozanam to help those in need based on the teachings of Saint Vincent de Paul. Saint Patrick was the first conference formed in Fort Wayne in 1944 formed to help the war widows and is one of twenty-two parish-based conferences in the Fort Wayne District Council. Funded by the District Council and its parishioners, the Vincentians of each parish donate their time to follow Christ through service to those in need and bear witness to His compassionate and liberating love. Vincentians show their commitment through person-to-person contact and no work of charity is foreign to the Society. It includes any form of help that alleviates suffering or deprivation and promotes human dignity and personal integrity in all their dimensions. The Society serves those in need regardless of creed, ethnic or social background, health, gender, or political opinions. Vincentians strive to seek out and find those in need and the forgotten, the victims of exclusion or adversity. Vincentians seek to emulate St. Vincent in the five virtues essential for promoting love and respect for the poor. They are simplicity, humility, gentleness, selflessness and zeal. The Saint-John-Saint Patrick Conference helps those in their neighborhood and parishioners who are in need with no expectation of repayment with food, rent, utility bills, etc. Please call the parish at 744-1450 x 105 for help.